We sell Sterling silver Earrings. 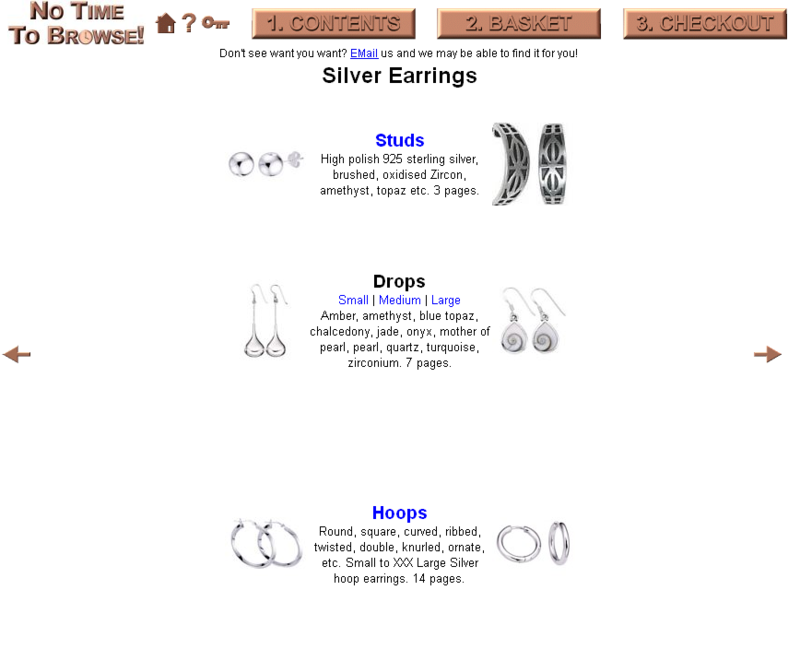 Examples:silver studs, silver drops and silver hoops or creole earrings. 925 hallmarked silver earrings. Styles: small stud earrings,long drop earrings and large hoop earrings. Shape: heart earrings,tear shape silver earrings, square earrings, round silver earrings, rectangle silver earrings, oval silver earrings, , . Design: chunky silver earrings, twisted hoop silver earrings, Loop earrings, plain hollow silver earrrings, flower silver earrings, cat silver earrings, butterfly silver earrings. Precious stone: amber, amethyst, blue topaz, citrine, diamond, garnet, mother of pearl, paua shell, pearl, peridot, cubic zirconium, zircon.